The celebrations in honor of Jesus Nazareno begin the 25 of April and will end the 4 of May. A las 10: 00 hours. 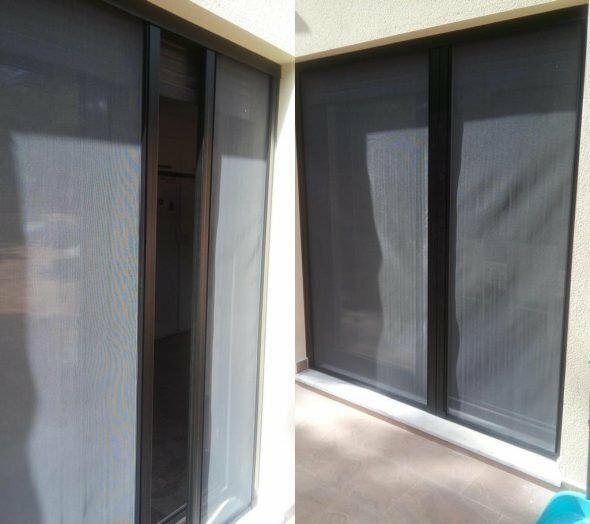 Review of "cadafals" by the Technician. A las 18: 45 hours. ENTERING bous i vaques down the street of Dr. Borrull (Livestock Els Coves). Collaborate the Raconet. A las 19: 00 hours. Solta of vaques i bou in Placeta del Convent and Ronda Colón. A las 22: 30 hours. XÀBIA FOLK (KORRNTZI, Basque traditional music accompanied by the current technique). A las 09: 00 hours. Cáritas and the Spanish Red Cross will install tables in several supermarkets in Xàbia for the collection of food. A las 17: 30 hours. Entrà and Solta from Carretons for children in the Placeta del Convent and Ronda de Colón. Curly). Collaborates the Restaurant Bar Convent. A las 19: 00 hours. Solta of vaques and bou in Placeta del Convent and Ronda Colón. A las 19: 00 hours. XÀBIA FOLK (RASCANYA, a show to listen to, enjoy the magic of dancing and feel the warmth of arrangements made with the heart). A las 22: 30 hours. XÀBIA FOLK (ALJIBE) After more than 30 years offering one of the most elaborate proposals of the Spanish folk scene, they present their new album "Agua, traditional music of the Tajo basin"). At the 10: 30 hours. Lliga comarcal raspall XÀBIA B against XALÓ. At the 11: 30 hours. Autonòmic raspall XÀBIA against ONTINYENT. A las 12: 00 hours. XÀBIA FOLK (WOMEN WITH ROOT) They present their album 'The Ages of Life', a well-deserved tribute to the traditional female voice, which owns a large part of the oral heritage of the peninsular southeast that musicized all ages of life) in the Hermitage of Santa Llúcia. A las 18.45 hours. ENTERING bous i vaques down the street of Dr. Borrull (Livestock Crespo). The Restaurant La Yesca Bar collaborates. A las 22: 30 hours. Performance of Paquita Ros and then SAINETE: "Conèixes a ta muller? ", Original work of Leopoldo G. Blat and Fernando Muñoz, adapted and represented by the "Grup de Teatre Tot Rist" of the Comissió de Festes Mare de Deu de Loreto , in the Plaça de la Constitució. At the end, disassembly of cadafals (until Monday, 29 from April to 12.00 hours). A las 20: 00 hours. TEN HOURS WITH DREAM. A funny comedy about the couple, love and disenchantment. A very serious text in humor that allows us to reflect on apparent unhappiness. For the ARTESCENA THEATER GROUP OF JUBICAM. Stage direction Manuel Sánchez Monllor. Assistant Reme Fernández. On the Plaça de la Constitució. A las 19: 00 hours. Triduum to Jesus Nazareno in suffrage of Manuel Cardona Bas and José Serrat Pachés, Sung by the Parochial Choir. A las 22: 00 hours. 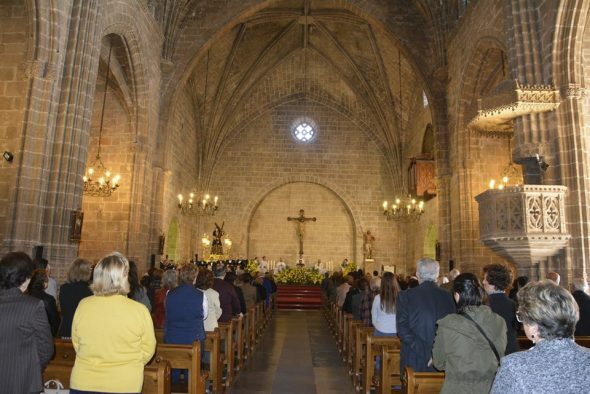 Concert by the Orchestra and Music Band of the Artistic Center of Xàbia in the Parochial Church of San Bartolomé, for the benefit of Red Cross Xàbia and Cáritas (separate program). Sale of advance tickets in: the Rulla, Red Cross and Tourist Offices. In the 08: 30 hours. Despertà with dolçaina i tabalet to which all the neighboring children of Xàbia are invited, who will tour the streets of the town. Next on the Plaça de la Constitució, snacks offered by More and moreThereupon, opening an attractive playground and carriages for all children Tiraset installed in the Plaça de la Constitució. In the 09: 30 hours. Despertà in Customs with the Colla del Grup de Danses Portitxol. A las 13: 30 hours. Giant Paella in the Montaner Park. A las 19.00 hours. Triduum to Jesus Nazareno in suffrage of Juan Bautista Alentado Bas and Dolores Bolufer Buigues, sung by the Parochial Choir. At 20: 00 hours. 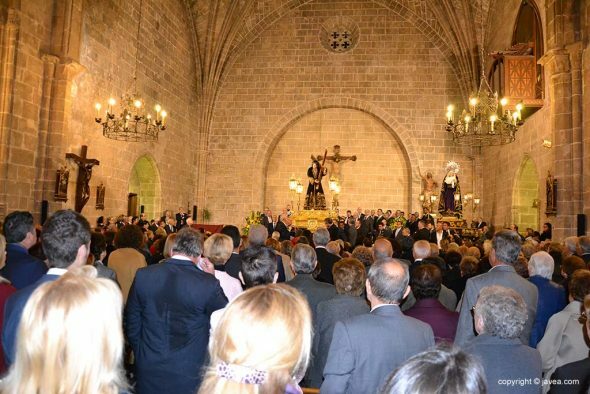 Pasacalle with "dolçaina i tabalet" and La Tuna de Xàbia, to visit with the Brotherhood and Authorities, the crossings of the streets and shop windows. A las 11: 00 hours. Visit the elders of the Day Center to whom a small gift will be given to each one. A las 11: 30 hours. Visiting the elderly of the residence-Asylum Cholbi Brothers Foundation which will award them a small gift to each. A las 12: 00 hours. General bell ringing. A las 19: 00 hours. Triduum to Jesus Nazareno in suffrage of the Rev. Juan Esteve Domingo, of the Rev. Mr. José Soler Mulet, of the Rev. D. Juan Cell Visitation, of the Rev. D. Joaquín Sendra Benavent. A las 20: 15 hours. OFFERING OF FLOWERS TO JESUS ​​NAZARENO. This act is invited to all the children, to all the Festivity Commissions, Peñas, Comparsas, Associations, etc. and the whole neighborhood in general (exit from the Marina Alta square). A las 22: 00 hours. Crazy Ocas Free adaptation of Javier Quintanilla, theater group Telón-Eros. Direction Eva Díaz. On the Plaça de la Constitució. A las 07: 30 hours. General bell ringing. A las 08: 00 hours. "Despertà" by the band of the Artistic Musical Center of Xàbia. A las 12: 00 hours. Solemn Eucharist concelebrated, sung by the "Parochial Customs Choir". When finalizing the diplomas to the Mayorales of the present year will be granted. Next, MASCLETÀ on the Plaça de la Constitució. A las 19:00 hours. 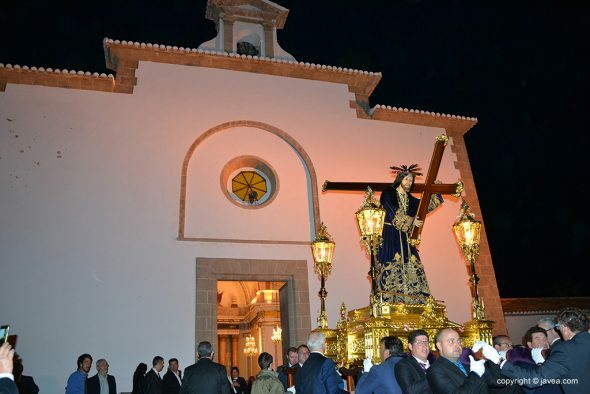 Celebration Evening Mass especially for the sick and handicapped and then solemn procession with the image of JESUS ​​NAZARENO, up to its hermitage, accompanied by the Band of the Artistic Musical Center of Xàbia, ending with the firing of a Fireworks Castle on the Plaça de la Constitució . A las 19: 30 hours. 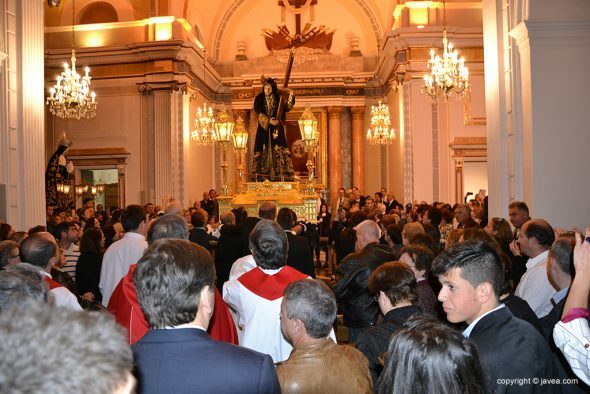 Mass in suffrage of the deceased Cofrades, to which we invite all the faithful in the Parish of San Bartolomé. A las 20: 00 hours. Final Dijous Comèdia. With the performance of Óscar Tramoyeres. A las 23: 30 hours. Discomóvil with the "FESTA DESPIPORRE" with live DJ'S performance, on the Plaça de la Constitució until the 3: 30 at dawn. 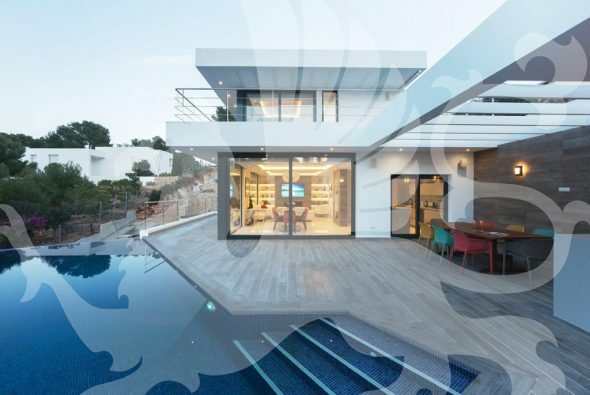 Organized by: Comissió Fogueres Xàbia and Quintà 2019 "Xé, quin desastre". A las 20: 00 hours. Mass in the Chapel of Calvary in thanksgiving. 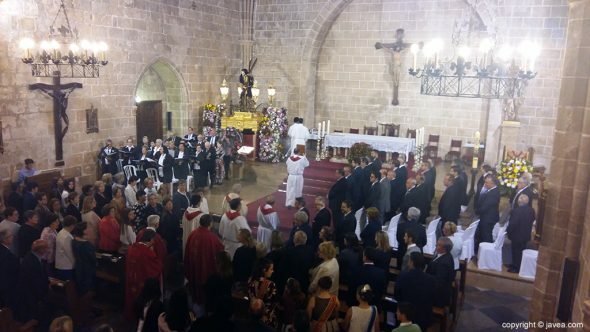 Farewell to Mayorales this year and imposition of medals to the overseers for the year 2020. Comments on "Program of Celebrations in honor of Jesús Nazareno 2019"